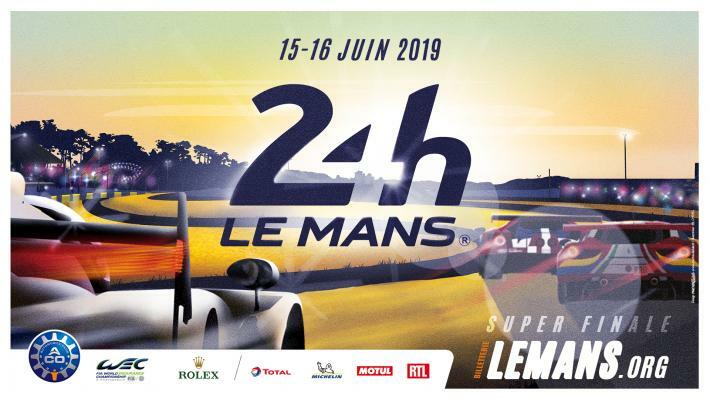 The first 42 entries for the 24 Hours of Le Mans have been announced today by the Automobile Club de L’Ouest. Out of a total of 75 applications to participate at the classic endurance race and finale of the 2018/2019 FIA WEC Super Season, 60 teams will be invited for the race mid-June. The next step is scheduled on March 1st with the release of the official entry list for the 87th running of the race. With four months to go before the race, the 2019 24 Hours of Le Mans is drawing an enormous amount of interest. The Automobile Club de l’Ouest has received 75 applications for the 87th running of the greatest endurance race in the world. During a meeting last week, the 24 Hours of Le Mans Selection Committee confirmed 42 entrants. They include the 34 participants in the 2018-2019 World Endurance Championship Super Season and the eight competitors invited thanks to their results at the 24 Hours of Le Mans, in the European Le Mans Series and IMSA WeatherTech SportsCar Championship in 2018. Despite earlier announcements which said 50 teams would be announced today and the remaining 10 plus 10 reserve teams on March 1st, the ACO decided only to confirm the teams racing in the FIA World Endurance Championship and auto-entries which have been taken up. The four invitations from the Asian Le Mans Series will be announced on 24 February after the final round in Sepang. This leaves “just” 14 entries to be assigned. Toyota doesn’t take up its third entry leaving both Toyota TS050 Hybrids from the FIA WEC at the start. They will be joined by Rebellion’s R13’s, the Dragonspeed BR1, ByKolles and the 2 SMP Racing BR1’s. As announced earlier by the team, Nathanaël Berthon replaces Mathias Beche in the #3 Rebellion. Jenson Button will make his return to the #11 SMP Racing after missing out Sebring and Spa later this season. The ByKolles Enso CLM P1/01 is still listed with a Nismo engine, although recent reports have hinted at a disturbed relationship between the Austrian team and Japanese manufacturer. ByKolles will miss Sebring due to this and is believed to be on the market for a new engine supplier. So far, only Tom Dillmann has been confirmed by the team. Ginetta has – unsurprisingly – disappeared from the entry list after failing to race in the FIA World Endurance Championship with the exception of Le Mans. It was already doubtable whether we would see the Ginetta LMP1’s on track since they only turned a few laps at the prologue and “raced” at Le Mans. Since then it all went quiet, except for an engine switch from Mecachrome to AER which hasn’t done much more than a straight line test, no on track testing at all. And although Ginetta claims to have their prototypes ready to race “whenever a customer” turns up, apparently nobody wants to make that investment. A good call thus by the ACO by leaving these 2 entries vacant at the moment. With just 18 entries left to be assigned, there will be more than enough teams who race in an ACO endorsed championship eagerly waiting for an invite for Le Mans. In LMP2, nine cars have been confirmed today, lead by last year’s Le Mans winner Signatech Alpine and ELMS champions G-Drive. The 7 remaining cars all compete in the FIA WEC. In the #26 G-Drive Racing Oreca, Roman Rusinov has been announced as the lead driver. It seems likely though that he will be joined by ELMS drivers Job Van Uitert and Jean-Eric Vergne. In the #37 Jackie Chan DC Racing – the former Malaysian backed LMP2 – only David Heinemeier Hansson has been confirmed. Other open seats are the third drivers for Larbre Competition (Creed/Ricci) and RLR M Sport/Tower Events (Farana/Maini), the latter in need for a replacement driver for Bruno Senna who is racing with Rebellion at Le Mans. Expect (a lot) more LMP2 cars on March 1st when the second batch of entries will be announced, with the European Le Mans Series as main suppliers for this class. At this time there’s no Ligier on the entry list and just one Dallara (Racing Team Nederland). The 10 WEC cars have been announced in the GTE Pro class so far, Porsche not taking up their auto entry from winning Le Mans last season. There’s no sign (yet) of the IMSA GTE teams, but it’s fair to accept that at least both Corvettes (celebrating their 20th anniversary at Le Mans this year), a Risi Ferrari and possible the IMSA entries of Porsche and Ford will be added later on. So far, only AF Corse and Porsche have confirmed their full driver line-ups. Alessandro Pier Guidi and James Calado will have Daniel Serra with them in the #51 Ferrari, Miguel Molina joins Davide Rigon and Sam Bird in the #71. At Porsche Fred Makowiecki completes the #91 line up with Richard Lietz and Gianmaria Bruni while Laurens Vanthoor returns to last years winning #92 of Michael Christensen and Kevin Estre. The GTE Am class seems almost complete already with a total of 15 invited cars. Proton Competition takes up 4 spots on the entry list: 2 cars from the WEC, and 2 auto-entries after winning the class at Le Mans last year and the ELMS GTE championship. With just 1 line-up complete (the #88 for Hoshino/Roda/Cairoli), there’s still a lot of seats to be filled for Christian Ried’s team. Patrick Long already has been assigned in the #77 Porsche 911 RSR, continuing his Le Mans streak with another year. ELMS runner-up JMW Motorsport returns to La Sarthe with his Ferrari and Jonny Cocker as designated driver. Swiss team Kessel Racing is set to make its Le Mans debut after winning the 2018 Michelin Le Mans Cup. They will enter a Ferrari 488 GTE with Francesco Schiavoni as their lead driver. Another non-WEC entrant is the #62 Weathertech Racing Ferrari of Cooper Macneil. The biggest surprise is Keating Motorsport’s entry with the first Ford GT in private hands. Ben Keating will be joined by Jeroen Bleekemolen and Felipe Fraga, the same line-up as with the Riley AMG in the IMSA championship. This will be Keating’s fifth Le Mans after 2 appearances in LMP2 (Oreca 03 and Riley) and GTE (Viper in 2015 and Ferrari last year). All other cars are the FIA WEC entrants. All driver line-ups are complete except for the #86 Gulf Racing Porsche with one seat left next to Michael Wainwright and Ben Barker. Previous articleFIA WEC: ByKolles To Miss Sebring, Perhaps More ….